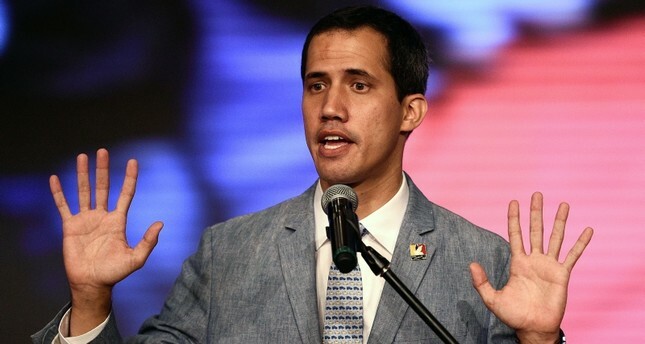 The international recognition of Venezuela's self-proclaimed interim president Juan Guaidó could amount to interference in the country's internal affairs, experts at Bundestag, Germany's lower house of parliament, have said. There are "strong reasons" for this assumption, the experts said in a report which AFP news agency obtained Saturday. "Thus, the question whether interference in internal affairs in the present case qualifies as an inadmissible intervention remains entirely justified." The report, commissioned by the Left Party at Bundestag, emphasized whether this "early recognition" was admissible under international law. This recognition issue arises "before a new state authority is enforced," the reports says, but adds that the verdict on whether a new state power is "decisively enforced" depends on political discretion. Whether the "real prerequisites" for early recognition were present could not be established "with the available means," the experts admitted in the report. Andrej Hunko, a lawmaker from the Left Party, said the report confirmed his views that the recognition of Guaido was contrary to international law. "The German federal government could have mediated," explained Hunko, adding "Instead, it discredited itself with its one-sided partisanship." Underlining that Guaido currently has no real power in Venezuela, Hunko warned that acknowledging him as president only further intensifies the conflict. Similarly, a Venezuelan Supreme Court justice said Friday that National Assembly leader Juan Guaido's decision to declare himself interim president was "null and void". In a statement, Justice Juan Mendoza said Guaido's interim government conflicts with the country's constitution and he is usurping presidential powers. The court has already barred Guaido from leaving the country and frozen his bank accounts. Tensions rose when opposition leader Juan Guaido declared himself acting president on Jan. 23, a move which was supported by the U.S., Germany and many other European and Latin American countries.